Sometimes things are too mixed up that their distinguish features become much difficult to be identified. Same happened with the case of Kalabagh Dam which was firstly envisaged by British authority back in 1873 and later on in Zia’s era it was again highlighted in antebellum of energy and water crisis. 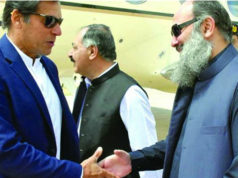 Churlish criticism was being carried out by few nationalists as they conveyed the masses that its construction is tantamount to the construction of their own graves and there would be no Punjab to sob and mourn over the tragedy of losing precious lives, lively place and resources of Pashtuns and Sindhis. By abandoning from the right of royalty Punjab government showed more flexibility to resolve the persisting trust deficit between the provinces. It is clear-cut to notice that there would be no implementation on the construction of dam without consent of all of the four provinces with the help of Council of Common Interest (CCI) in accordance with federation. 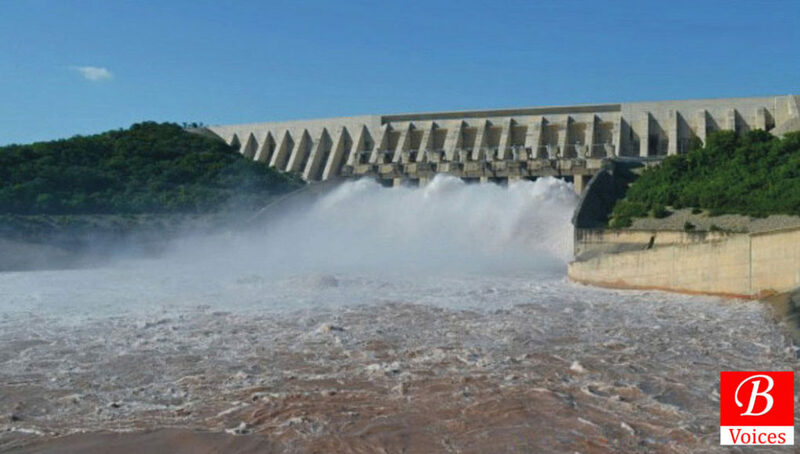 1) Storage Capacity: All three major dams have reservoirs of about 13 million acre feet(MAF) and Kalabagh has alone a capacity of storing 6.1 MAF. And water can be stored for three years in Kalabagh Dam. 2) Arid Land would decrease: it is estimated that there is 35 million acre land irrigated by tube-wells and canals would possibly increase in number. Southern Parts of KPK like Karak, Bannu, Lakki Marwat, Tank and DI Khan would get supplementary 20 lakh acre water and about 8 lakh acre land would further irrigated. And KPK would have no need to buy wheat from other federal units and it can increase its agricultural exports with neighboring Afghanistan. Sindh will get further 40 lakh acre water which would be enough to quench the thirst of its deserted area. Sindh will get a chance to decrease the ratio of water logging land and it would be available for the irrigation. Balochistan will get extra water through Kachhi Canal (a project under construction which will jointly fertile the Punjab and then Baluchistan) and can get 15 acre lakh feet water. 3) Inexpensive Electricity: Pakistan will get 4 to 5 thousands mega-watt electricity and with that estimation we have to pay 2.5 rupees per unit as compared to electricity produced with the help of oil, which is produced at large level i.e. 60% of the total electricity, and masses are bound to pay 15 to 20 rupees per unit. 4) Factories and Industries will get inexpensive electricity without load shedding so with the help of cheap labor and inexpensive electricity the expenses on the production of goods and things there would be more chances to increase our exports and decrease imports. 5) Stance against India: India has opted the stance at international platform that Pakistan has no dam and it wastes lot of water by not saving it so it would be given a mandate to India to build dam on the rivers downstream to India. 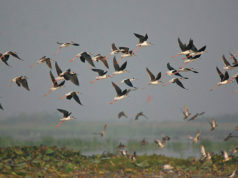 Kishan Ganga dam is result of that strong stance. That’s why Pakistan can make its own point at international platform that we have big dam to store maximum water. 6) Employment: Least important but also a part of importance of Dam that it will provide employment about 60 thousand people. 7) Environmental positivity: Nearby districts will have the moderate temperature, or at least it will not increase and chances or probability of rain will be more than before. 8) With the help of increasing agriculture products Pakistan will be capable to pay back the borrowed loans. 9) No Floods would be seen as a reality. 1) Turbines will be there in Punjab and Punjab will get the right of royalty. In response Punjab showed rationality and got rid from the right of royalty over the Kalabagh dam and gave it to the federation. 2) Nowshera will face heavy flood. Indeed this skeptical concern is the result of the record flood which got strike Peshawar and Nowshera in 1929. But one should keep in mind that it had happened because of the confluence of Kabul River. Now in the case of Kalabagh dam, Swat River would provide more effective assurance to tackle any untoward situation of flood. Other thing in this regard is the height of Kalabagh dam which was 925 ft proposed in Dr. Kennedy report in Zia’s era. But after the objections of KPK government it was reduced to 915ft so it reduced the grievances of making dyke (dike) near Nowshera as well. Other thing is the land which will be under water so let me clear the ambiguity if it is considered then most area of Punjab will under the destruction of water as Kalabagh is situated at Indus River. 3) Third major point is related to migration which will take place at large from Punjab not from KPK because a sane layman even knows that Mianwali is situated in Punjab (or Saraikistan if it could become reality). If we talk about Sindh Government then they have been claiming for years that Punjab was involved in the hell-casting activity of thievery of water coming from Indus River because Sindh has the only right over Indus river. If it is so then Kashmir would be part of Pakistan as almost all of the major rivers come from Kashmir. Thinking rationally, Kalabagh dam will not harm the treaty of 1991 between the provinces better known as ‘Apportionment of the Waters of Indus River System between the Provinces of Pakistan’. That treaty proved as the breakthrough towards the national consolidation. Talking about Baluchistan it is argued by those who even don’t know its importance often claim that Baluchistan has nothing to do with Kalabagh Dam but it supports the stance of smaller province like Sindh over this supposed Karbala-like incidental dam for Sindh. 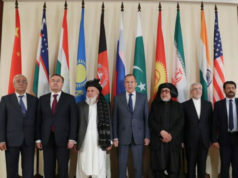 It is very important to mention that all the critics throw arrow in the air while raising the issue of Kalabagh Dam but till it could happen about to zip or nothing when one could see them to criticizing the India and Afghanistan over the construction of Dams on the rivers coming to Pakistani territory. If they are sincere with their respective ethnic group then let us all eat the fruits of prosperity as a whole and kindly avoid from dividing us further by playing with the sentiments of common people. Writer is a student of BS political science at Quaid-i-Azam University, Islamabad. Disclaimer: Balochistan Point has not verified the facts mentioned in this article. Views expressed in this article are those of the author and Balochistan Voices not necessarily agrees with them.